For those in the United States, the phrase “alternative facts” came into popular use on January 23, 2017. The term was used in a context to indicate a reality, that many people witnessed, was not accurately portrayed. The use of the term, of course, was not the first occurrence as George Orwell referred to alternative facts as “newspeak” in his seminal novel “1984.” Political ramifications aside, the use of the term, at least to me, is unsettling. The reason, we IT service management (ITSM) practitioners have been fighting against alternative facts with our teammates for years when it comes to metrics. As good practitioners, we know that measuring outcomes helps the organization understand whether the organization/department/unit knows if they are meeting the desired outcome, and that it helps position teams to identify opportunities for improvement. However, sometimes measures are, unfortunately, simply put in place without sufficient strategy to support the reason for the measure, or they are not used in a way that helps the organization to improve. Other times, the measure used might not be sufficient for appropriately gauging if the outcome is being met. In these cases, the metric may become an alternative fact in supporting the perception that progress towards an outcome is being met. And clearly, this can be a slippery slope. A member of the senior management asks how the corporate IT service desk resolution time compares against that of other companies. You do your research – by reviewing various industry surveys – and build a comparison report. The senior manager reads your report and decides that no further work or changes are needed as the service desk resolution time is currently above the industry average. They do not need to follow the measure closely. Never review a metric as a stand-alone value. The outcome the customer has agreed to will normally require a set of measures, and looking at a single measure provides a high variance in assuring the outcome is being met. However, a set of measures allows easy roll up into a key performance indicator (KPI). And service reviews with customers should focus on the agreed upon KPIs. Remember that a metric only tells part of the story. The discussion on meeting the objective should always include the metrics, the customer’s perception, any changes to demand, and any proposed change to the objective. Benchmark metrics are good for understanding where you stack up against the median. But if you are asked to compare yourself against a benchmark, just remember that you want to be better than the median, or in laymans terms, to be better than average. Like it or not, alternative facts now permeate both the world and the workplace, and are most likely here to stay for a while. The key takeaway is to remember that, as a practitioner, one of your roles is to help your organization understand the truth of their ability to deliver services. The truth should be grounded in the mission and vision of the organization, along with the outcome(s) the customer desires. Sticking to the premise of finding the truth in metrics will help you guide your service management journey and help you to assist your customers in meeting their outcomes. 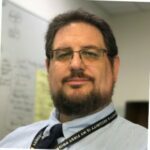 Earl Begley is a Project Director for Compliance and Standards at San Francisco International Airport, focused on earning ISO/IEC 20000-1:2011(E)® certification by 2019. He has previously worked with IT teams in manufacturing, health care, and higher education over a 25+ year span. In his free time, he curates social media service management content, snaps photos of things he finds interesting, and explores the wilds of the San Francisco Bay area. What Advice Would You Give Your CIO? We ask several people "what would be your number one piece of advice for a CIO?" Interestingly, the responses were very varied. Quite an informative article on the why & what of ITSM..